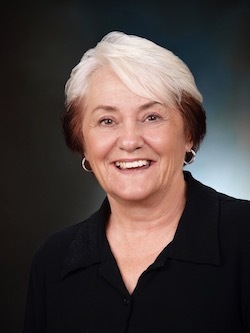 Barbara is a former member of California Inns of Court and College of the Desert Foundation. She served as a Judge Pro Tem in the Probate Court for Riverside County Superior Court. Barbara currently lives in Cathedral City with her husband, Chuck, and two Golden Retrievers, Pepper and Belle. She is an avid automobile racing fan and served as a Steward for the Sports Car Club of America.